Since 2012 the state of Utah, including the local school systems, the Utah State Board of Education (USBE), the Utah Education and Telehealth Network (UETN), and the Legislature have been working to best leverage the power of technology for learning. The Legislature created and charged the USBE to combine these efforts to create the following qualifying grant program for Utah. 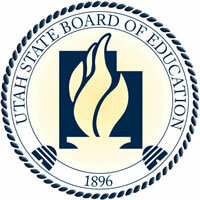 The Digital Teaching and Learning Qualifying Grant Program for Local Education Agencies (LEA’s) was created in accordance to Utah Code Section 53F-2-510 and Utah State Board of Education (USBE) Rule R277-922. To support LEA’s, see the grant planning template that outlines the required elements for an LEA Plan to be considered by the Utah State Board of Education. The planning template provides an overview of program due dates, locations for the required Bootcamp, and requirements for an LEA plan. Incoming Utah LEAs are required to attend DTL Bootcamp to help inform the creation of their Digital Teaching and Learning plan. The bootcamp will provide technical expertise from USBE to support LEAs creating their comprehensive application on site with support.